Canada is a developed and charming country of mighty proportions, so you would be surprised to learn that it also has one of the highest rates of emigration out of the first world countries. The Canadian diaspora is the scattered group of Canadians who live outside of Canada’s border. The diaspora currently stands at 2.8 million residents who live away from the Great White North, which equates to roughly 9% of Canada’s total population! A large ratio of Canada’s diaspora is made up of Canadian retirees and families, but increasing numbers of Canada’s youngsters have been joining them more recently and moving from Canada to destinations worldwide in the search of a new life. When weighing up the pros and cons of a future home country after your emigration from Canada, you ought to consider specific issues in the country to determine whether it is suitable for you and your needs. As a minimum, you should research the country’s employment opportunities, healthcare, safety, citizenship, education, tax, social well-being and climate, although climate shouldn’t be a problem if you are migrating from Canada. Luckily for Canadian’s, the good-natured population is generally well-accepted, respected and warmly welcomed in pretty much all countries, the world is your oyster. Through evaluating some of the issues above and the current Canadian population present in the country, we have ranked a list of some of the best countries for you to consider when moving abroad from Canada. A move from Canada to the UK would mean joining approximately 87,000 fellow Canadians across the pond, living in England, Northern Ireland, Scotland and Wales. Moving to England from Canada is particularly popular amongst the younger generation because of the country’s cultured lifestyle, boundless entertainment and sightseeing, vibrant restaurant and bar scenes, world-class universities and a diverse population. Whether you are looking to move to the idyllic countryside or an urban metropolis, England has many globally adored cities covering all bases, moving to England caters to all… except for sun-worshippers. Yes, those in search of the sun might want to look elsewhere. London: One of the most visited or lusted after cities in the world and England’s capital city, London is like no other. The city is dripping in history, an innovator of arts, a cultural melting pot for all races and ethnicities and if you think you could ever be bored in this city, think again! Manchester: Manchester is located in the North of England and has more than earned its title as the ‘Northern Powerhouse.’ Manchester has an industrial and textile heritage which is ever-present in the city today but the growth of modernisation in the city is unprecedented. York: The historic, walled city of York is one of England’s most aesthetically delightful cities. Also in the North of England, York is a hub of independent shops, cutesy cafes and restaurants from the quick eats to the fine dining. Hong Kong is an amalgamated city with a unique blend of historic Chinese practices and traditions, intertwined with western culture, 21st-century technologies and modern skyscrapers nestled amongst traditional architecture. Individuals moving to Hong Kong from Canada are often under the impression that the culture shock is going to be extreme, but the sovereign state is well adapted to western life, English is widely spoken throughout the Island and networking is such a substantial part of the culture that it proves easy to meet like-minded individuals and expats in Hong Kong. You can set the pace of your own life on the Island. The financial and commercial hub lures a young, career-focused crowd to move to Hong Kong, ready to forge a career for themselves in one of the world’s busiest business districts. In contrast to this, retiring in Hong Kong is an equally as fulfilling process, with some areas of the island allowing you to soak up the retired life and take it as easy as you like. Hong Kong has the most significant Canadian population outside of The Americas with approximately 300,000 expats from Canada living in Hong Kong, so you are bound to meet a Canadian companion on your travels around the state. Wan Chai: If you are moving to Hong Kong from Canada and want to be in the thick of it, Wan Chai is the ideal neighbourhood. 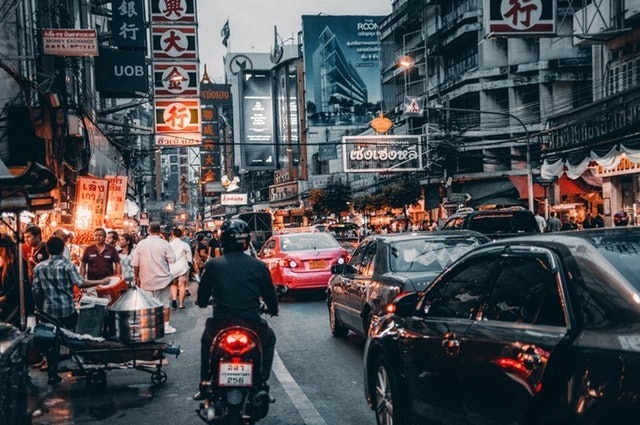 The urban locality provides an authentic HK experience; it’s vibrant, has a controversial yet exciting nightlife scene and is flooded with all of the restaurants, shops, bars and food markets you could ever need. Mid-Levels: Mid-Levels is another favoured neighbourhood amongst expats. The Mid-Levels provides easy access to the hustle and bustle of the city, with hiking trails leading to the Peak within ten minutes of the area. It's truly mid-level living. Sai Ying Pun: Think of Sai Ying Pun as an up-and-coming neighbourhood, rather than a veteran of expatriate living. Sai Ying Pun provides cheap accommodation, hordes of bars and quirky dining establishments in a fashionable area. France has a Canadian expatriate population of 60,000 strong, most of which are of French Canadian ethnicity. France has become a global centre for arts and philosophy, for reasons that are no secret to the wider world, but whether you are in one of France’s beach towns, the rolling French countryside or a metropolitan city, every corner of the country has a strong focus on culture and creativity. France is a highly developed country with the world’s seventh largest economy, stable employment opportunities for skilled immigrants, world-class healthcare and excellent educational institutions at all levels, from kindergarten right through to university. Lyon: Situated in the Rhône-Alps in the south-east of France, Lyon is one of France’s calmest and most mellow cities. The perfect French city for lovers of the outdoors, Lyon has ample parks, green spaces and outstanding hill ranges to hike your way through your weekends. Bordeaux: Bordeaux has been named a UNESCO World Heritage Site due to its soul of historical, classic and neoclassical architecture. Bordeaux is a city of sheer beauty and home to some of the friendliest locals in the country. Like wine? Sharing a city with 115 hectares of vineyards might be right up your street. Paris: Too predictable? Paris is France’s geographical capital, but also the country’s fashion capital, museum capital AND food capital? Paris has so much to offer and a strong expatriate community that will be more than willing to welcome you into the City of Love! Unsurprisingly, the United States has the highest concentration of Canadians outside of Canada. 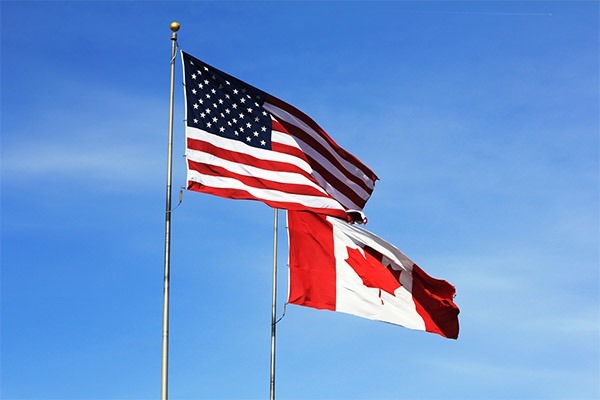 America’s current Canadian population stands at 1,062,640 and the figure keeps rising with a steady influx of Canada natives moving to America every year. Moving from Canada to the USA is a prevalent choice due to its neighbouring geographical location but also the country’s diversity. Every US city, let alone each state, has a unique personality, identity and quirks that in thousands of immigrants hoping to live the ‘American Dream’ every year. The fifty United States allow you to live life in your lane, surrounding yourself by people, experiences and dreams that you wholly appreciate. Fellow Canadians moving to America from Canada settle in states across the nation, but a significant percentage reside in the states of New York and California. New York: New York, often regarded as the best city in the world, not just in America. For the career-focused, creative, high-energy and aspirational individuals moving from Canada to the USA, there is no better city for you to relocate to. The city is a hub for many things, both career-wise and recreational, and you’ll never meet a group of people with dreams so big. San Francisco: On America’s West Coast, San Fran is commonly overshadowed by California’s dominant city, Los Angeles, but we’re here to tell you to branch out. San Francisco is one of America’s most beautiful cities, and a centre for finance, culture and entertainment. Miami: Miami is an American front-runner for media, the arts, global trade and commerce to name but a few, allowing thousands of hopeful Americans to follow on their dream career path. But what do they say? Work hard… play hard? 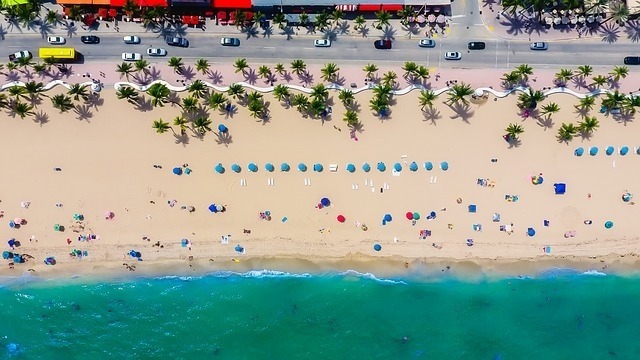 Miami’s nightlife scene is one of America’s most notorious, with some of the world's most infamous beaches to relax those cobwebs away on.